WASHINGTON, DC – U.S. President Donald Trump attacked the news media and dismissed leaks from the White House as “fake news” on Sunday, following reports his son-in-law tried to set up a secret channel of communications with Moscow before Trump took office. The Republican president returned to the White House after a nine-day trip to the Middle East and Europe that ended on Saturday to face more questions about alleged communications between Jared Kushner and Russia’s ambassador to Washington. The White House faces mounting questions about potential ties between Russia and Trump’s presidential campaign, which are also the subject of criminal and congressional investigations. Trump officials were preparing to establish a “war room” to address an issue that has begun to dominate his young presidency. Aides said Trump was expected to meet with lawyers as early as Sunday, the New York Times reported. Two Republican U.S. senators played down the Kushner reports on Sunday, while the former director of national intelligence, James Clapper, took a darker view of such contacts with representatives of Russian President Vladimir Putin. Kushner, who is married to Trump’s daughter Ivanka, had contacts with Moscow in December about opening a secret back channel of communications, according to news reports published while Trump was away on his trip. The 36-year-old Kushner, a real estate developer with no previous government experience, had at least three previously undisclosed contacts with the Russian ambassador to the United States during and after the 2016 presidential campaign, seven current and former U.S. officials told Reuters. Contacts between Trump associates and Russian officials during the campaign coincided with what U.S. intelligence agencies concluded was a Kremlin effort through computer hacking, fake news and propaganda to boost Trump’s chances of winning the White House. White House officials defended the concept of secret communications channels without commenting specifically on the Kushner case. National security adviser H.R. McMaster told reporters on Saturday that so-called back-channeling was not unusual. Kelly, the homeland security secretary, carried the same message on Sunday. Kelly told “Fox News Sunday” there was nothing wrong with the Trump transition team trying to build relationships with the Russians as they prepared to take over the White House. U.S. Representative Adam Schiff, the top Democrat on the House Intelligence Committee, said such secret channels may be used in situations including peace talks with the Taliban in Afghanistan or for the release of American hostages. “But for people associated with the campaign after that campaign has ended and where the Russians during that campaign were helping you, to try to establish a back channel and hide it from your own government, that’s a serious allegation,” he said. Schiff was particularly concerned about a Washington Post report that the back channel would have been conducted at a Russian diplomatic facility to avoid monitoring in U.S. communications systems. “You have to ask, well, who are they hiding the conversation from?” he said on ABC. 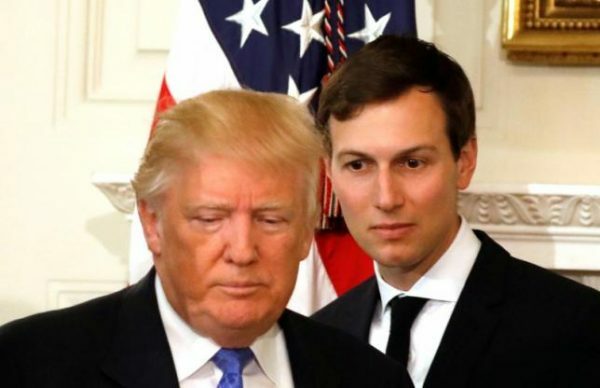 Kushner initially had come to the attention of FBI investigators last year as they began scrutinizing former national security adviser Michael Flynn’s connections with Russian officials, the two sources told Reuters. Though he had not seen evidence of collusion when he stepped down on Jan. 20, Clapper said all the signs made an FBI investigation not only appropriate but necessary.